Enjoy Hiking and Trekking in Mauritius with its breathtaking views of mountains, rivers, forests and more. Enjoy hiking trip through the fields, trekking on a zip line or on a bike, and discover this magnificent nature paradise. 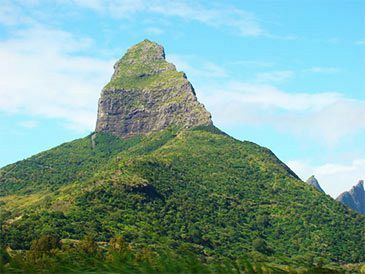 Mauritius being a volcanic island has several breathtaking summits and valleys to explore on foot. The island is well known for its natural beauty. Author Mark Twain, for example, noted in his personal travelogue, "You gather the idea that Mauritius was made first and then heaven, and that heaven was copied after Mauritius". Mauritius offers many hiking and trekking tours in its parks and reserves, around the basaltic mountains, and in many other beautiful locations. Each peak offers a unique panoramic sight of this most amazing paradise. 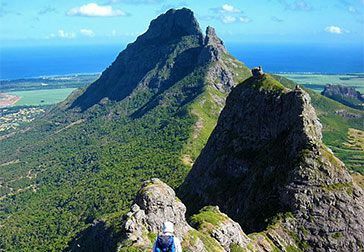 Trekking in Mauritius in places like the Black River Gorges national park where the native forest and birds can be seen, or hiking to Mauritius' summits like Le Pouce and Black River peek mountain will all offer you a memory of a lifetime and many “kodak” moments. Mauritius is famous for its breathtaking nature with its beautiful birds, flora, coastlines and with many magnificent views. Mauritius has several National Parks and is a true wildlife Sanctuary.The flora of Mauritius is composed of 700 species of indigenous plants. In addition to the traditional trekking activities in Mauritius, you can also go on a unique adventure activity of trekking with the zip lines.A zip-line (also known as a flying fox, zip wire, aerial runway, aerial rope slide, tyrolean crossing) consists of a pulley suspended on a cable mounted on an incline. There are currently several zip Lines activities in Mauritus, of different heights and lengths. As the leading tour provider in Mauritius, Mauritius Attractions offers an extensive range of hiking and trekking trips in Mauritius for you to choose from, including also kayaking trips, River Trekking, and trips offering combinations of them all. In many cases you can choose between single day trips and multi-day trips (the multi day trips include accommodation and food). When choosing any of the trips we offer, you can be sure to have a great time, knowing you will be accompanied by a professional guide who will take you through the island’s amazing surroundings. 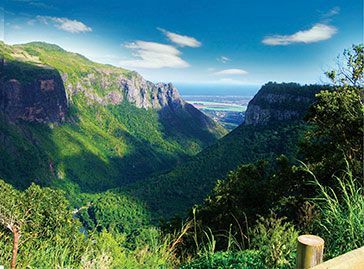 The "Black River Gorges" National park - The park which is located on the southwest corner of Mauritius, extends over an area of 6,754 hectares and covers about 2% of the island’s area. There are several short and long recommended hikes in the park. With the help of the guides, you will discover Mauritius' natural heritage in this unique area which is also the location of one of the rarest forests in the world. It harbors about 311 species of native and endemic flowering plants and 9 species of birds, which are found only in Mauritius. These are called endemic species. At the Black River Gorges National Park all efforts are taken in order to protect these species, while allowing visitors to enjoy this unique place. We offer few hiking trips that will take you into the heart of the indigenous forest offering many panoramic views and with a visit to a refreshing river where you can have a swim. 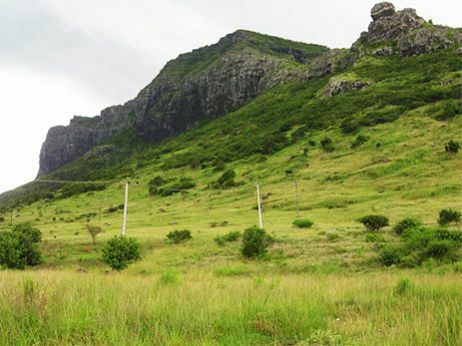 This mountain is the third highest in Mauritius, peaking at 812m, located in the North West of the island between the Pieter Both and the Signal mountain. From the peak you will have a 360 degree view. The sight of the northern part of the island is splendid, with a beautiful view of the northern small islands of Mauritius - Flat Island, Round Island and Snake Island. It also offers one of the most beautiful views of the capital: Port Louis, as well as Moka and the high grounds of Plain Wilhems. Le Pouce is known as ‘The Thumb’ peak. The first person to climb Le Pouce is accredited as Charles Darwin. Discover this National Park with many panoramic views onto the native forest, waterfalls and onto the sea. You may come across various endangered birds like the pink pigeon and the echo Parakeet, and even see wild monkeys! It lets you experience the Mauritian tropical forest at its best. 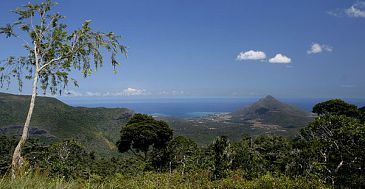 We offer a trek up to the highest mountain in Mauritius (828 meters). On the trail you will have a beautiful view point from where you will be able to catch a glimpse of the beautiful south, and of the west coast with the island of L'ile aux Benitier floating in the turquoise blue lagoon. La Nicoliere is a water reserve which is located on the way to the East and provides access to the center of Mauritius . The small lake is surrounded by hills, forming a protected zone where the vegetation is totally different from the one along the coast just. Come and discover a great trail in the Reserve of La Nicoliere where you may come across monkeys and wild boars. The trail will take you on a trip crossing rivers and forests with breathtaking views on the Lake of La Nicoliere and the Northern islets. Wild monkeys and bats can be spotted on the hills in the late afternoon and the two or three viewpoints along the road provide ideal places to stop and enjoy the view and the fresh air. This private valley stretches over hundreds of hectares and offers several trekking possibilities. You will be able to discover Mauritian fauna and flora in a preserved natural environment along carefully laid out trails. Circuits go from one to two hours walks. The vallery offers great panoramic views and lush vegetation together with wild boars and deers. There is an entrance fee to the valley. An excursion whose climax peaks at 780m, with an impressive panoramic view of the island as far as the eye can see. The path proceeds through basalt rock, steep enough to make use of your hands, and at other times through the bush. The drops are impressive although remote, which gives character to this excursion. Seen from above, the urban civilization in all its extent presents an overall view of Curepipe, Vacoas, Quatre Bornes, Rose Hill, Beau Bassin and les Pailles. On the other side, towards the West, a green stretch of mountains appears. The most well known are: Trois Mamelles, Rempart, Tourelle de Tamarin, Black River Piton, and further away the mountain of Morne Brabant standing majestically. This is a more adventures trek which will take at least 4 hours to complete. This atypical solid mass on the West of the island with three distinct sections is peaking at approximately 500m. Climbing the central peak is done in two parts: initially on the path which goes through the bush while the second part is definitely more exposed. The drops on both sides are rather impressive. Frequently the adrenalin peaks up as you approach the top. The panoramic view is awesome and most rewarding for this challenging climb. Three hours are required to accomplish this outstanding hike. The sight of these great waterfalls from close is really a must see. 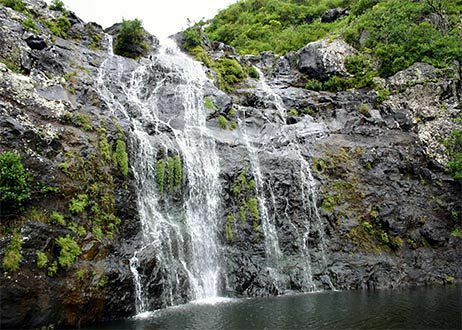 Tamarind waterfalls are the highest in Mauritius with a "fall" of almost 300 meters! The trek starts with a walk down in this impressive canyon, discovering progressively each waterfall with its natural basin. Sometimes the trek shall progress in the forest, sometimes in an open area on the basalt rock nearby the water. One can feel free to have a swim in the water or enjoy a natural massage when standing under the cascade. The path is steep sometimes; one should be rather fit in order to explore this trek. You can choose between a full day (also including lunch) and half day trips. 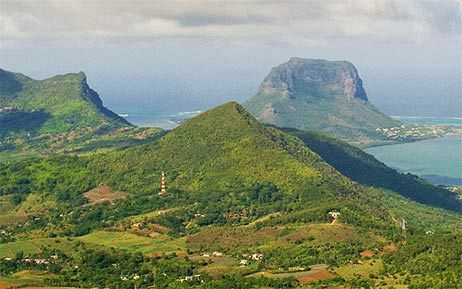 This mountain of 548m offers the best view of the entire western area of Mauritius. This is a private property, the land belongs to the Maingard family. The climb starts at the sea level on the northern slope of the mountain. The path to the top of the mountain is rather steep, except for a few sections which are ideal for a drink break and for taking some beautiful pictures. Nature is completely well preserved. A beautiful variety of indigenous plants grow here. At the end of the climb you will enjoy the exceptional panorama view of the most beautiful lagoon “les Fonds Blancs” and of the Morne Brabant mountain.